The Elusive Mugwort . . . Ironic is the title. 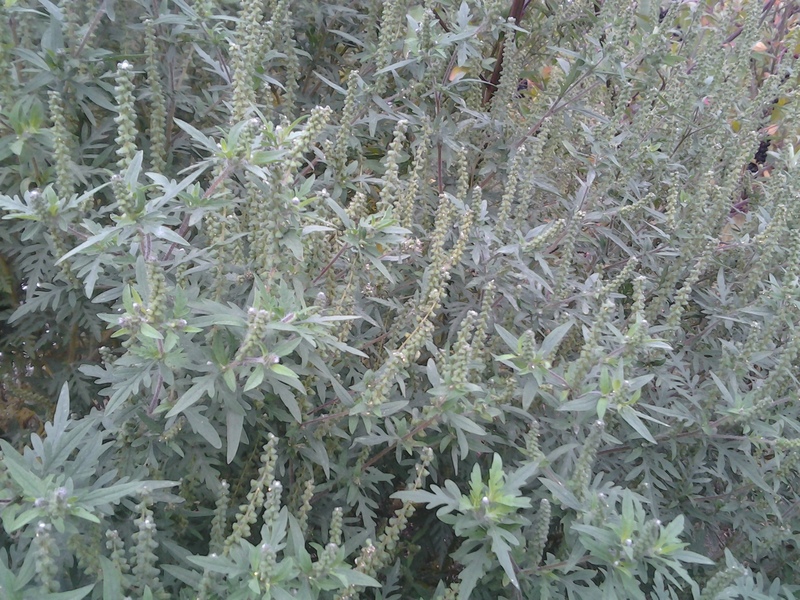 Common Mugwort, Atemisia vulgaris, is actually one of the most ubiquitous urban plants. Unlike its immigrant fellows the dandelion, plantain, or clover – so well known for their blooms – mugwort never appears to be in flower. The reason for this contradiction is the simple hardship urban wildflowers must face. Park crews and construction workers cut down or pull out this plant before it can live through its full life cycle. 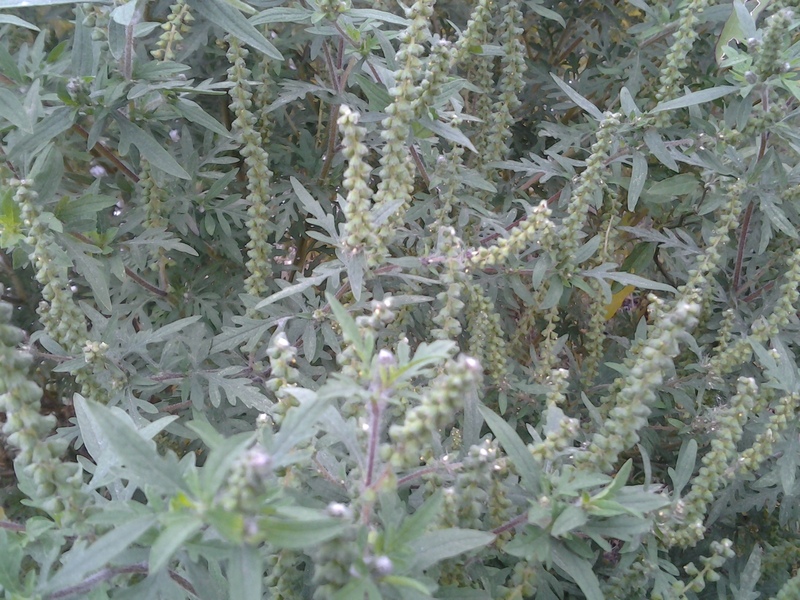 Four years of wildflower hunting in the West Village had passed without my finding a single mugwort specimen in flower. That search, a kind of urban naturalist’s grail quest, ended at last in late October along the West Side Highway. One small stretch of median left uncut supported a large mugwort patch crowned by numerous vertical green capitula. Modest is its flower, even underwhelming, yet it was satisfying to finally behold and photograph.